As a Leading brand of chef knives with a rich heritage, Wusthof Chef knives range offer professional reliability and quality in use. 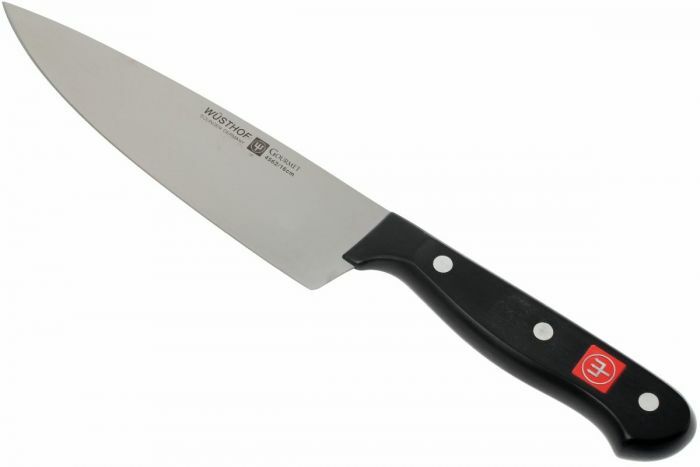 The blade of the Wusthof Chefs Knife 16cm is forged using a laser cutter from a single piece of high carbon steel steel which then the ergonomic polypropylene handle is attached to, secured with 3 distinct rivets, the high carbon blade allows the sharpness to be retained for longer periods of time. We are a specialist catering distributor with over 25 years of trading history, working with the UK’s biggest and best-known catering and hospitality brands to bring our customers great-value commercial products. Our range of unbranded catering supplies is sourced from both the UK, European and worldwide suppliers, allowing us to ensure the best value-for-money for our customers. If you have a query about the source of this product, please do not hesitate to contact us.